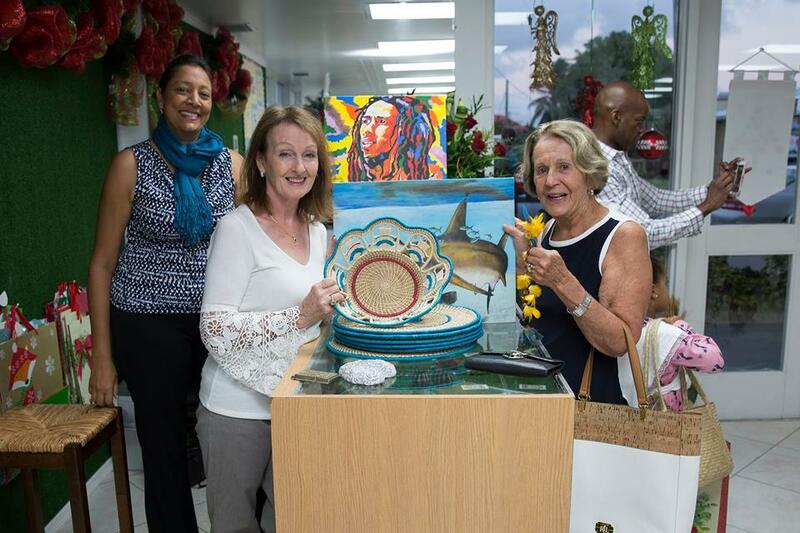 On Monday 20th November 2017, the Hand Made With Love craft store opened in Cayman. 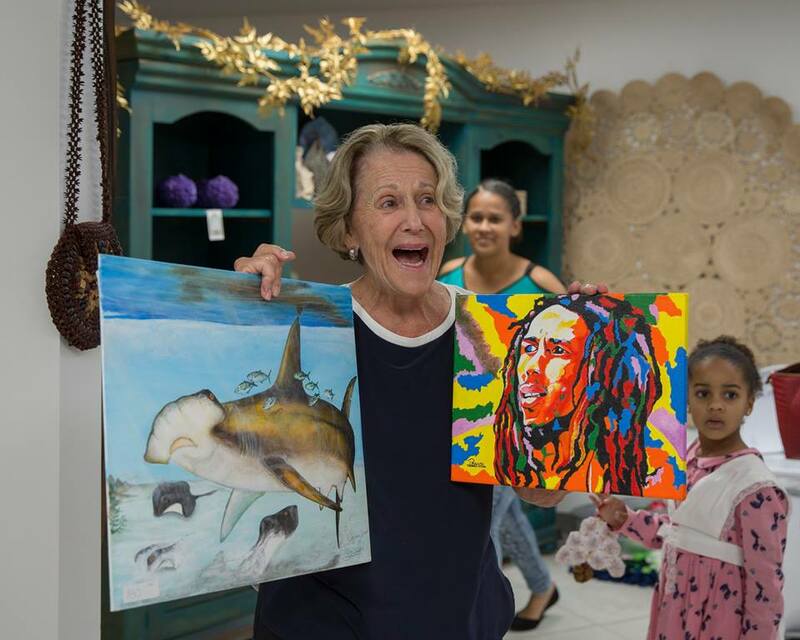 Lots of crafts are on display from Guyana, the Cayman Islands as well as those produced by inmates of the prison in Cayman. Chloe, Naomi and Asher with their Mom, Joannah and Dad, Peter, cut the ribbon dressed in old style Caymanian costumes. There was an opening prayer after which Mrs. Supriya Singh-Bodden, founder of the Guyana Foundation, gave some background information on the project. Officials from the prison spoke about all of the exciting things that will come on stream next year to sell craft made by inmates in the store. Many thanks to the Press and everyone else in attendance at this activity, and especially to all of our suppliers in Guyana. Everything which includes handbags, crochet beachwear, slippers, baskets, tibisiri mats, belts, wallets, wai wai jewellery, were highly complimented from everyone who attended the opening ceremony. A section of the craft shop. This visitor is very elated with these paintings. Invitees at the opening of the craft store.